Competency-based—allowing learners to demonstrate new ministry-related competencies at their own pace and in accordance with clearly defined outcomes. Collaborative—creating diverse peer-to-peer learning opportunities under the guidance of a coach/facilitator. Customizable—providing resources, support, and coaching for self-starters seeking skills in one or more of JCSTS’ primary program areas. Below is a quick look at our developing list of institutes. The knowledge driven, network society that is founded upon IMG_0192technology, demands from learners to become independent, confident and motivated life-long, self-directed learners that can transfer their knowledge, skills and values. Our core courses across all of our certificate programs address three areas of competency: (1) enhanced knowledge, (2) ethical character and (3) ministerial leadership. Enhanced Knowledge means that the learners has acquired information, standards, and principles related to her/his vocation or profession. Whether acquired through life experiences or formal education, the learner partner can demonstrate both the theoretical and practical application of his/her vocational information, standards, principles and trends to a given context. Ministerial leadership is the effective convergence of knowledge, ethical character and community building to imagine, produce and serve as responsive and relevant efficacious leaders in the church and community. The JCSTS Certificate Program achieves these program competencies through five core courses with specific learning results from each course that thread the program competencies into a meaningful exchange for the benefit of promoting just and compassionate communities. Although vocation specific, the JCSTS certificate programs have a common framework for learning: thinking theologically, leading intentionally, planning effectively and, being the Beloved Community. Dr. Martin L. King’s Beloved Community is a global vision, in which all people can share in the wealth of the earth. In the Beloved Community, poverty, hunger and homelessness will not be tolerated because international standards of human decency will not allow it. The current certificates are currently active and enrolling. 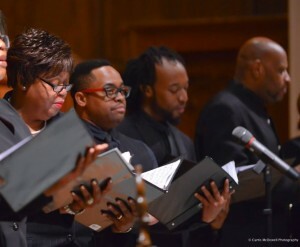 The Certificate in Worship Leadership is the flagship program of JCSTS’ Institute of Worship, Preaching, and Sacred Arts which offers premier learning opportunities where clergy, liturgists, musicians, scholars, and lay people can explore the intersectionality of faith and justice through the historic lens of the African-American religious experience. The Certificate in Worship Leadership at Johnson C. Smith Theological Seminary is an eight-month course of study designed to engage learners in a historical, theological, and practical exploration of the convergence of worship and justice. Under the direction of internationally known musician and worship director, Dr. Tony McNeill, the program is open to church musicians, clergy, lay leaders, performing and visual artists, seminarians, and justice-seekers of all backgrounds and levels of experience 21-years-old and older. No prior seminary training is required. Payment for the program is based on a sliding scale according to the size of the participant’s congregation. Examine the cross section of secular culture and congregational life. The program is organized into four distinct online modules: (1) Thinking Theologically–Reflections on Worship and Justice; (2) Leading Intentionally–Congregational Engagement and Ethical Leadership; (3) Planning Effectively–Christ, Calendar, and Culture; (4) Being the Beloved Community–the Witness of Justice in the Sacraments. Learners are required to take a mandatory two-day online orientation at the beginning of the program. Opportunities for face-to-face gatherings will be offered periodically but are not mandatory. NEXT Church, Johnson C. Smith Theological Seminary, and Metro Industrial Areas Foundation have teamed up to offer a Certificate in Community Organizing and Congregational Leadership. Click below to inquire about this rare opportunity.